For Whom Intended This course is intended for individuals whose primary formal training is not in the field of electronic engineering. Electrical controls and electronics are incorporated in almost every technical activity, and all technical personnel have to deal, at least to some extent, with some aspects of electrical engineering. A basic understanding of electronics is essential to better perform their main function. Brief Course Description The course covers basic concepts of electrical theory, starting with the simple DC circuit and Ohm's Law. It describes basic components encountered in electrical circuits, such as resistors, capacitors, inductors etc. The course discusses transient RC RL circuit analysis and delves into ESD and lab safety. Then reactance and impedance in AC circuits are discussed, along with series and parallel resonance. The course covers basic theory and types of transformers, before covering instrumentation errors. Instruments including ohmmeters, voltmeters and oscilloscopes are discussed before covering electrical power circuits. 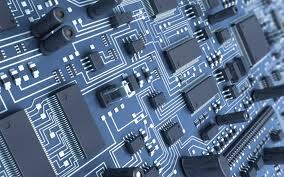 Moving from electricity to basic electronics, the course covers theory of solid state electronics including semiconductor physics, diodes, transistors, FETs, thyristors and photoelectric devices. The course presents rectifiers and filters, before an in-depth look at amplifier theory, applications and types, including oscillators and tuned, differential and operational amplifiers. An appendix provides material for further study in related mathematics, including vectors, phasors, RMS and scientific and engineering notation. Diploma Programs This course is required for TTi’s Dynamic Test Specialist (DTS), Instrumentation Test Specialist (ITS) or Metrology/Calibration Specialist (MSC) diploma programs. It may be used as an optional course for any other TTi Specialist Diploma Program. Related Courses TTi course 103, Introduction the Electronic Theory, is good for newcomers to electricity and electronics. A longer version of Course 104-3, Course 104/105 includes material from Course 105, Understanding Digital Electronics, which covers digital electronics in greater depth. Either Course 104-3, Course 104/105 or Course 105 may be presented on-site, at your facility. Course 104-3 is also available as an OnDemand Complete Internet course. OnDemand Internet course 104-3 features eleven hours of video as well as more in-depth reading material. All chapters of course 104-3 are also available as OnDemand Internet Short Topics. See the course outline below for details.